It's getting to be that time when you start thinking about the holidays, if you haven't already. Add these adorable dolls to the list...and you can even win one! This giveaway is for the winners choice of a Springfield Doll. It's open to the U.S. only. It will run from 10/21-10/28. You can enter below for your chance to win. Good luck to everyone. 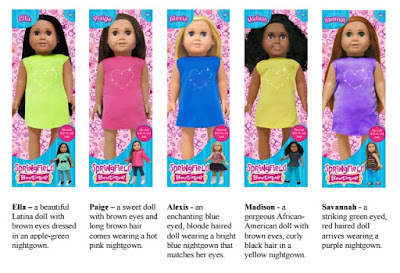 You can also check out Kathy's Savings review on the Savannah doll HERE.